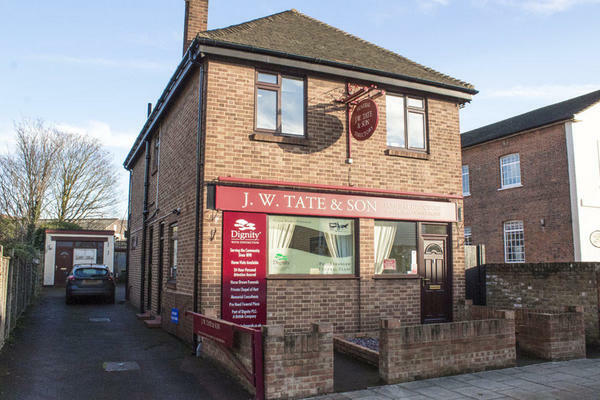 Our Rochford funeral home in Essex is on North Street, an area that the founders of J W Tate & Son built many of the houses, as they began as builders before becoming funeral directors. Our team provide a high quality of care that ensures every family and the deceased are treated with utmost dignity and respect. After the death of someone close to you, you can rely on us to guide and support you through this difficult time. Please call us as soon as you need our assistance. Call us today on 01702 544396 to talk through your personal requirements. At J W Tate & Son Funeral Directors, we understand how special life is with those that you love. For us, every funeral is unique and personal. We have a service to fulfil every wish, with every detail carried out with the same uncompromising quality of care. From a traditional service, to a colourful woodland burial, your options are limitless with our Full Service Funeral. If you have a little more flexibility when it comes to arrangements, then we can provide a Simple Funeral for a lower cost. We are located next to Rochford Congregational Church on the high street. Our staff are available 24 hours a day on 01702 544396 if you require our services outside of these hours. Thank you for taking the time to send your online review to us. I am pleased that the arrangements for your Husband were carried out to your satisfaction and that you were so well looked after by our team. All aspects of the arrangements were excellent. The cars all arrived with sufficient time to ensure no late arrival and all staff were extremely helpful. Compassionate, sympathetic and efficient service. The staff were very helpful and put us at ease throughout the planning process.They were respectful of our wishes and we never felt pressurised. The service we received from Tate's has been professional, efficient and caring from the day we first visited their North Street office - friendly and reassuring faces during a time of sorrow.